As we return back from our first Northern technical expedition we look for forward to our first technical expedition of 2013 to the Brother Islands. Over the up coming weeks we will be bringing to you a few blogs about the highlights of the trip. Beginning our trip from the port of Hurghada the first wreck that we will be paying a visit to will be the wreck of the Salem Express. Much has been written about this particular wreck but I think that the best write up is from Ned Middleton’s book “Shipwrecks of the Red Sea”. I personally am not such a good writer, and also struggle to find much available time and so have taken the article from his book and recognised him for his efforts. I have trimmed down the article some what but if you would like to read the whole write up you need to purchase his book! Thanks Ned. I have however included throughout the blog photos that were actually taken from our trips with many coming from Duncan Spenceley, owner of the Red Sea photography company “Red Sea Snappers” and also a Tekstreme Technical instructor. Many thanks Duncan, a beer is coming your way. The Saudi Arabian port of Jeddah is located on the eastern shores of the Red Sea it was here on 16 December 1991 that the Egyptian ferry “Salem Express” was loaded with vehicles and several hundred passengers. These were mostly Pilgrims who were in good heart and dressed in their finest robes – as is always the case when returning from the holy city of Mecca. Based in Safaga, the Salem Express provided a ferry service between Egypt and Saudi Arabia. Her Captain was Hassan Moro a very able and vastly experienced Master Mariner. He was appointed Master of the Salem Express in 1988. This was a Captain who knew the route between Safaga and Jeddah. Every time he approached Safaga, Captain Moro was in the habit of sailing between the Egyptian mainland and the treacherous Hyndman Reefs – which lie just to the south of the port. This maneuver shaved a full two hours off the journey time. None of the other captains would follow such a route – always remaining further offshore until they were able to take the designated path around the northern tip of Panorama Reef before adopting a south-westerly course that would keep them in deep water until they were safely in Safaga. It should be noted that, in the aftermath of the loss of the Salem Express, this “safer” route became compulsory for all big ships. On 16th December 1991, the Salem Express commenced her final journey. By nightfall, the weather had deteriorated with winds gusting to gale force. Many of those on board were deck-passengers and Moro was well aware of their discomfort on such a foul night. Crossing the Red Sea, he deliberately hugged the coast as he made his way northwards – trying to provide his passengers with whatever protection was available from a “lee” shore. As the vessel approached the Hyndman Reefs it was close to midnight and impossible to distinguish Reef from Sea in such conditions. Moro was just slightly to the east of his normal route and that resulted in the Salem Express striking the most southerly Reef a heavy glancing blow. The result was twofold. Firstly the hull was holed on the forward starboard side. At the same time, the impact caused the Visor on the Bows to be jolted upwards from its closed position allowing water into the car deck. Such a double blow was utterly catastrophic and, as vast quantities of water swept into the vessel from these two sources, everything happened too quickly. An immediate list to starboard caused by the ruptured hull was worsened by the water entering the car deck and the list increased at an alarming pace. Within 20 minutes of striking the reef, the Salem Express sank. She came to rest in 30m of water on her starboard side. Many lives were lost when the ship sank and others perished in the immediate aftermath. So swift had been the sinking that none of the lifeboats or life-rafts had been properly launched. Remarkably, 180 people survived with most of them eventually reaching shore unaided. Launched as the Fred Scamaroni in 1976, the roll-on roll-off ferry ship Salem Express was built by French shipbuilding company. She was later renamed Nuits Saint George, Lord Sinai and Al Tahra before becoming the Salem Express in 1988. She was 4,771 gross registered tonnes and her measurements were 100.29m x 18.1m with a draught of 4.92m (unladen). Powered by 4 x 8 cylinder diesel engines reduction geared to serve two propellers and directional thrust propellers forward, the engines were built by Ch de L’Atlantique also of La Seyne and produced a very powerful 14,880 bhp. 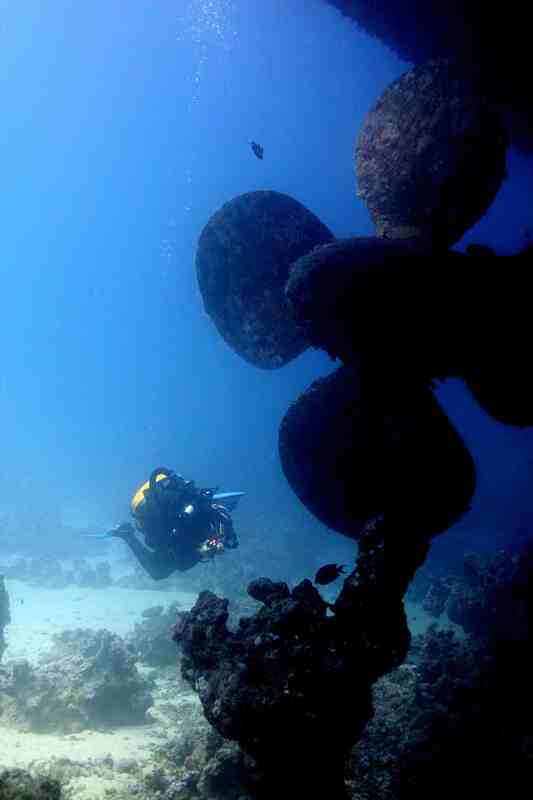 This is one of the largest wrecks in the Egyptian Red Sea – roughly the same size as the Thistlegorm. 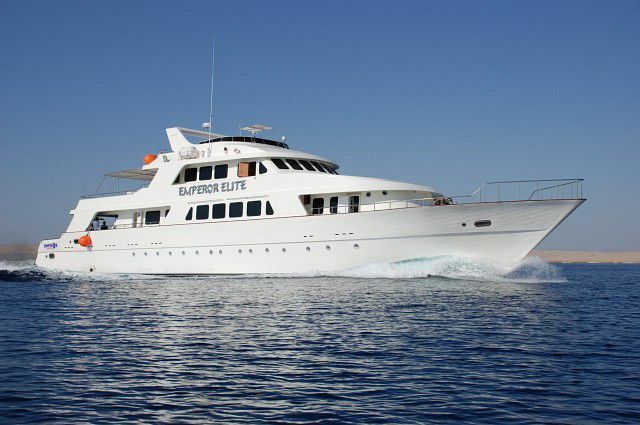 She lies perfectly on her starboard side at an almost uniform depth of 32m from Bows to stern. The visor is still found in the raised position – just as it was so many times when loading vehicles. The large foredeck has few obstructions except for a pair of windlasses for the large twin anchors – both of which remain fully retracted into their respective hawse-pipes. The tall forward-facing accommodation block has many rows of square windows with the upper-most belonging to the bridge. Some of the windows have been removed making it quite clear that some divers do enter the wreck from time to time. Above the Bridge is an open space occupied by the ship’s large mast. 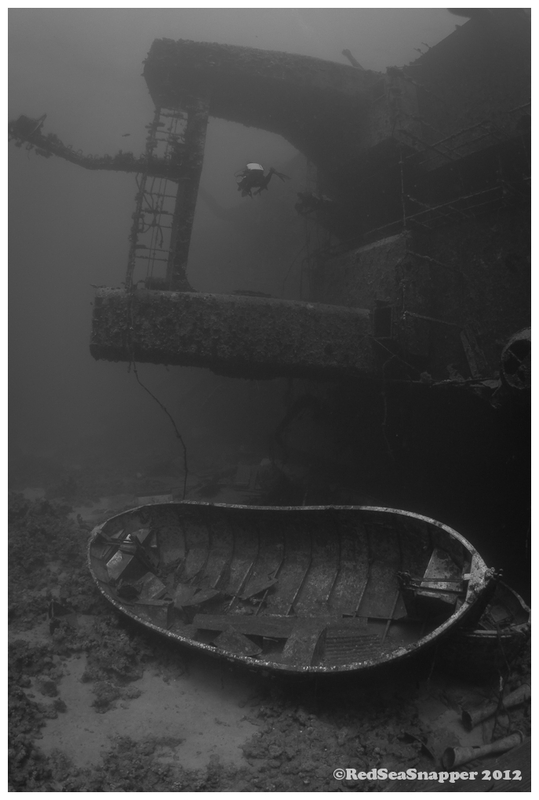 The uppermost port side of the entire wreck is at a fairly uniform 10-12m throughout and a companionway runs for most of the ship’s length from bridge to stern. Here are many doors that once gave access to the ship’s interior – but all are sealed. Behind the bridge and above the accommodation, is a raised sun deck with lifeboat davits on both sides. All the lifeboats on the port side are absent. Amidships, the divers will find twin funnels connected by a strengthening brace. On both sides of each funnel there is a capital letter “S” – very appropriately within a “wreath” of laurels. Immediately below the funnels are four lifeboats sitting on the seabed. The after deck was where the deck-passengers were congregated. A light framework stretched over the deck onto which sheets of blue corrugated plastic were fixed in order to provide some shelter from the sun. 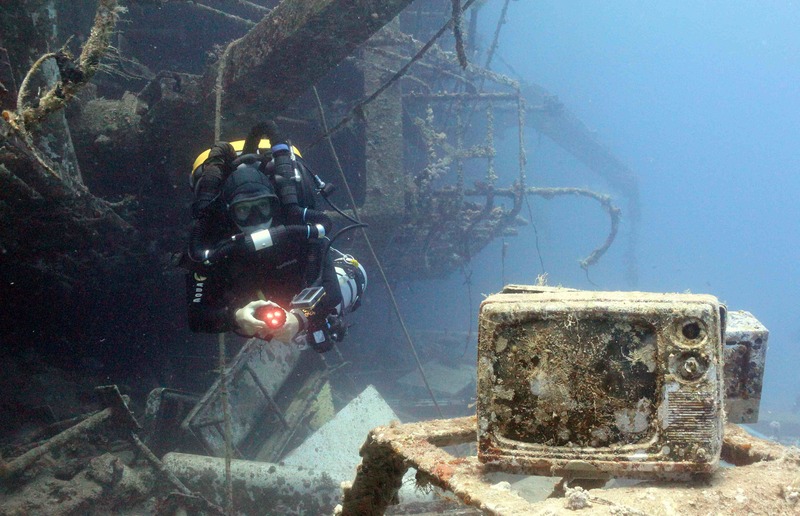 These corrugated sheets now litter the seabed at a point where one or two personal belongings – such as a large stereo and suitcase, are found. 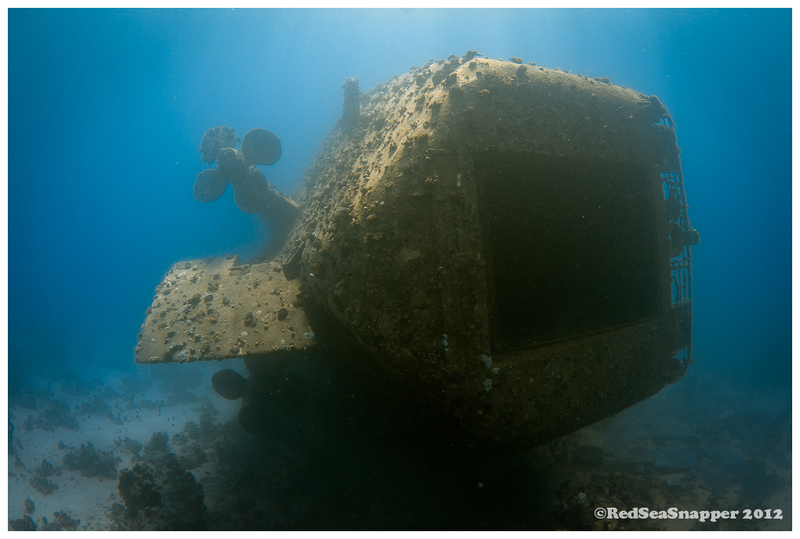 From here, the ship’s sides curve back slightly towards the square stern making it quite easy to swim under the wreck and emerge on the other side right next to the two huge propellers and single rudder. As I mentioned earlier this is the first wreck of the week and makes for a great afternoon extended deco dive on the first day of the trip. As the maximum depth is only around 30m a nice Eanx for the open circuit divers and a single deco tank is suffice. For the CCR divers, well, lets face it they can spend the entire afternoon if they choose. This particular trip is open to all levels of technical diver and even entry level technical courses can be taught on board. The bonus of the wrecks that will be dived is that they fall between the depths of 15m – 75m, plenty for all levels of technical divers. For more information on the next technical trip to the Brother Islands contact us on Tekstreme@emperordivers.com. Don’t miss out on the upcoming blogs by subscribing to receive them by email. Cat Braun – Tekstreme Technical Manager.